BESSEMER, Ala. — X JAGD, the acclaimed Austrian-based clothing company that utilizes the most high-tech materials in its clothing, has announced the introduction of new lightweight jackets for men and women. The Oregon and the Hamilton are the two new jackets for men, and the Seattle and Erie are the two new women’s jackets. With its three-layer lamination construction, the new Oregon softshell jacket will replace the Waterbury jacket in the X JAGD men’s line. Waterproof to 5,000 mm and breathable and with an incredibly high Moisture Vapor Transmission Rate (MVTR) of 10,000 g/m2/day, windproof and lightweight, the new Oregon jacket is incredibly versatile and comfortable with a soft interior fleece. Three zipper pockets, a chin protector and two-way zip with extension on the backside provide plenty of space for storing items. The anti-pilling finish on the jacket will keep it looking new for a very long time. 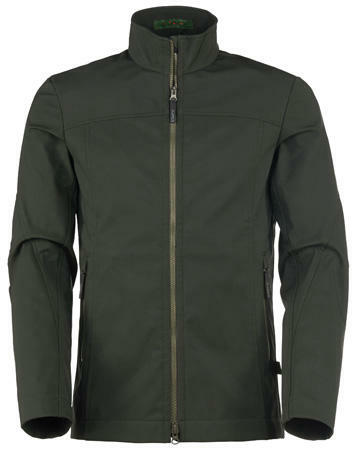 The Hamilton Men’s softshell jacket, available in both green and brown and features an external layer that is designed with the proprietary Pontetorto soft shell which features a mechanical weather barrier that is extremely durable due to the laminated membrane layer. The Hamilton is also wind resistant and waterproof to 8,000 mm with an MVTR of 10,000 g/m2/day. On the inside, the warming Pontetorto fleece is extremely soft and comfortable. Three zip pockets, two internal pockets and extremely abrasion-proof Cordura reinforcements are additional features of the Hamilton. The attractive knitted look is possible by using a combination 52% polyester, 36% wool, 10% polyamide and 2% polyacryl. The Hamilton is replacing the Buffalo 2 jacket. 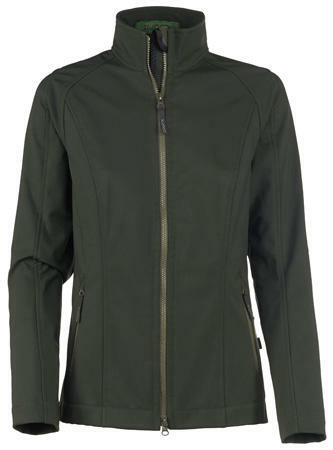 The first of the two new X JAGD jackets for women is the Seattle softshell jacket, a basic feminine jacket that has three-layer lamination that is waterproof to 5,000mm, breathable (MVTR 10,000 g/m2/day) and wind resistant, while remaining light weight. Its soft fleece lining, chin protector and raglan style allow greater freedom of movement and all-day comfort. 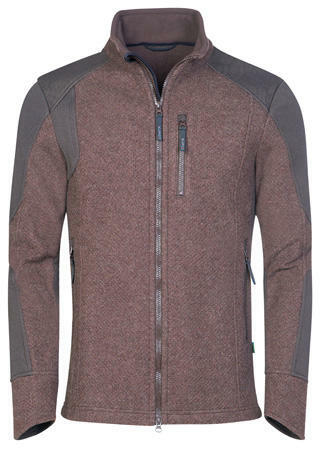 The Seattle’s anti-pilling finish ensures the jacket will last a long time. The Seattle features four zippered pockets and a two-way zip with an extension over the backside that covers what other jackets usually won’t. The new Seattle is replacing the Amarillo jacket. 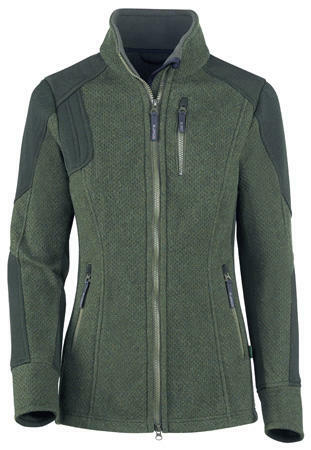 X JAGD is also introducing the Erie Jacket, the women’s version of the new Hamilton men’s softshell jacket, to the line. Like its masculine counterpart, the Erie will be available in both green and brown. It has all the same features and benefits as the Hamilton, but the Erie has a more feminine design and contouring. It too will be available in either brown or green. All four new X JAGD jackets are available at xjagd-usa.com. The Oregon men’s softshell jacket retails for $166, and the Hamilton is $366. The Seattle women’s jacket is $179, and the Erie is $366. Check the website for current size selections. Free returns and exchanges for unused products are available on all orders. The X JAGD outdoor clothing brand utilizes exceptional, cutting-edge “intelligent materials” to create top-tier performance and reliability. The five X JAGD DEMORPHING® camouflage designs are truly unique and allow hunters to completely dissolve into their environment. Steyr Arms is X JAGD’s exclusive U.S. importer and distributor. For more information, contact Steyr Arms at 2530 Morgan Rd., Bessemer, AL 35022; call (205) 417-8644; or visit xjagd-usa.com for more details.